The blood circulating in the body exerts a pressure on the blood vessels and is referred to as blood pressure (BP). It has two values – systolic and diastolic. Systolic pressure is the one which is exerted when the blood is forced out of the heart by its pumping action and the diastolic is the pressure between two heart beats. 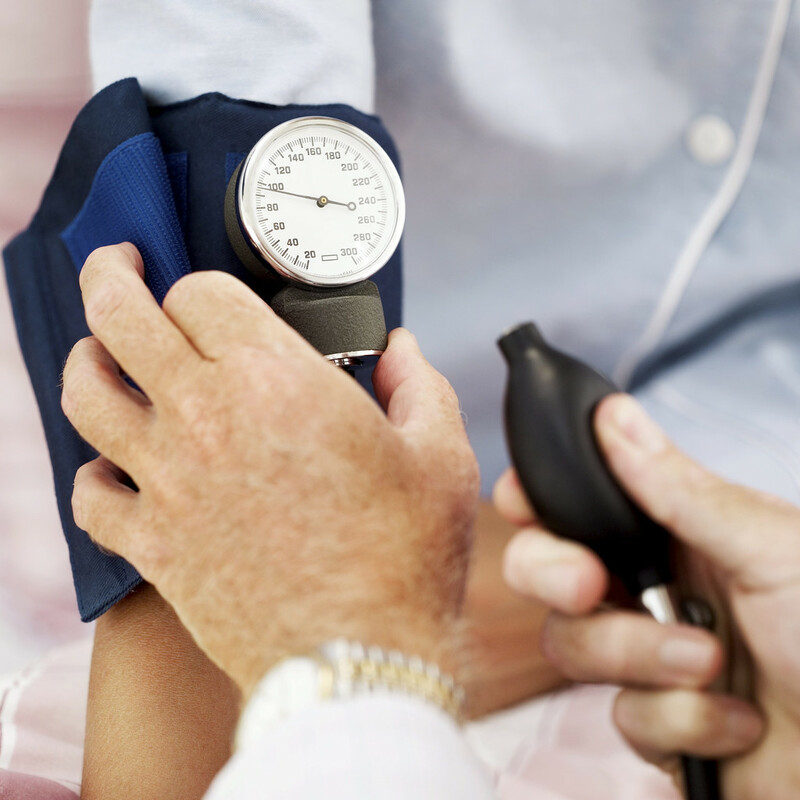 It is important to pay attention to the blood pressure because high blood pressure can have health implications. However, the blood pressure after exercise is often high. Let us find out if that is normal or not. Increased Blood Pressure After Exercise, Why? 120/80 mm Hg is considered as the normal average blood pressure, while the normal range is 90/60 mm Hg to 130/80 mm Hg. Depending on the activity levels, the blood pressure varies all through the day. When a person is active, the blood pressure is higher. Thus, in normal condition, the blood pressure after exercise will be high and then return to normal. The increase in BP happens because there is an increase in the demand of oxygen by the muscles. To ensure this, the heart beats with more force so that more blood is pushed out. As the heart is working more, the systolic blood pressure increases during exercise. But the arteries dilate during this time and therefore, there is not much change observed in the diastolic pressure. If you are exercising at less than the maximum heart rate, you might even observe a slight decrease in the diastolic BP. Only at maximum heart rate, the diastolic pressure will increase slightly. So, it is normal to observe high blood pressure after exercise. If you follow exercise with low intensity walking, there will be a progressive decline in the systolic blood pressure. However, if you sit or lie down, the passive recovery will cause a sudden drop in the systolic blood pressure. This is because the blood pools in the hands and feet. If you have blood pressure in the normal range, however, the systolic blood pressure after exercise goes up to 190 mm Hg, it is an indication that you will have high blood pressure in the future. If there is an underlying coronary artery disease, it can cause the diastolic blood pressure to increase by 10-15 mm Hg during exercise. This will be an unstable type of hypertension. You should get it checked by a doctor, especially if the rise in BP is accompanied by chest pain. Decreased Blood Pressure After Exercise, Why? A drop in diastolic pressure after exercise that has been talked above is also normal, but it should come to the normal level later. The heart rate usually returns to normal within 2 minutes of stopping the exercise. However, it can take several hours for the blood pressure to return to normal. The resting blood pressure reduces with time if there is consistent aerobic exercise. So, it is recommended by the AHA (American Heart Association) to exercise for 30 minutes, 3-4 times a week, to control blood pressure. If there is any decrease in the blood pressure during exercise, it is an indication of potential heart problem and needs to be checked by a doctor. In a study conducted on old obese men, it was found that blood pressure was lowered 24 hours after performing aerobic exercise. Also, if the blood pressure after exercise falls significantly and does not come back gradually to increase within 30 minutes, it could be an indication of potential heart problem. If a person has blood pressure lower than 90/60 mm Hg consistently, it should be checked by doctor. Regular Exercise Is Actually Good for Controlling High Blood Pressure! If you involve in regular exercise, it will help in lowering blood pressure. This happens because the heart becomes stronger and there is less effort required by the heart to pump blood. An active person who exercises regularly can reduce the systolic blood pressure by 4-9 mm Hg, which is similar to the decrease observed when prescription medications are taken. So, you can avoid medicines if you exercise regularly. Involving yourself in 60-75 minutes of vigorous exercise or 180 minutes of moderate exercise once a week is recommended. You can even try the combination of both. Moderate exercise includes swimming, bicycling, jogging, walking, etc. You should, however, talk to your doctor before performing any exercise as treatment for hypertension. The doctor will help you plan a proper workout session and also point out any concerns associated with it.